I made these quick (very quick!) little hair clips for my friend's daughter. I made some for Frances too, but she won't let me touch her hair so I don't have a picture of that! I didn't think much about them, but they are getting hits like crazy in my gallery!! Seriously like hundreds of hits a day. Sometimes it's the simplest things that get the most attention. 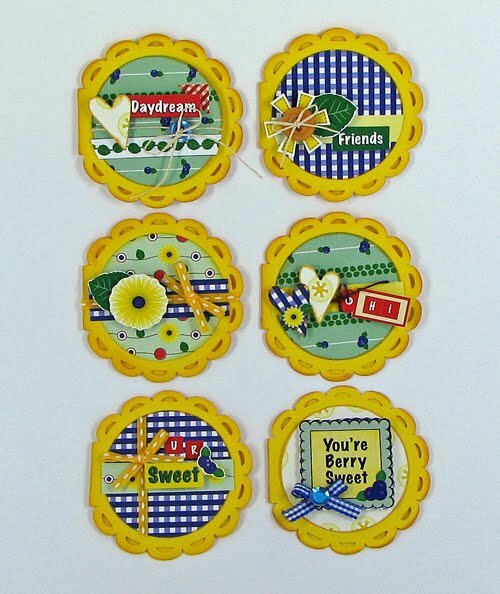 To make these I used American Crafts felt embellishments and Goody Hair clips. I wrapped a piece of fabric around the clip and then sewed the felt to the ribbon. Please don't judge me by my sewing skills! It does look a little rough in the picture above! But once the clips are in your hair you can't tell at all. And I couldn't just give my friend the clips so I made a little card to attach them to. I just listed a new card at my etsy shop. Isn't this little bird adorable! 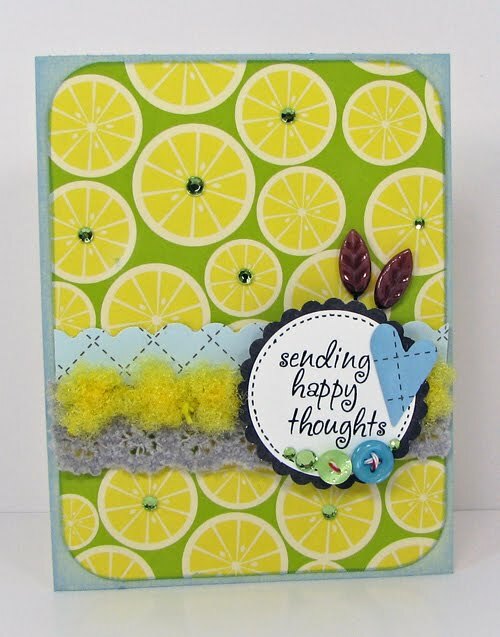 I used Bo Bunny papers for this one and the colors are perfect for summer. I don't know about you, but I am trying to make summer last a little longer! I can't believe school goes back in three weeks!!!!!!!!! 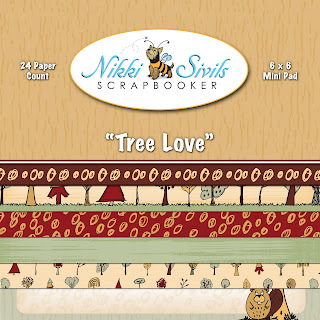 Nikki Sivils just released another super adorable line debuting at CHA next week! It is called Tree Love. Now autumn is my favorite time of year and I take so many pictures. I still have lots to scrap from last fall! I can just picture all the super cute pages I am going to create to with this line. Here is a little sneak. To see the rest you'll just have to visit Nikki's blog. I think that Beaver is my favorite!! Along with the sneak Nikki is giving away one each of her new lines debuting at CHA next week. Just go to her blog, leave a comment and check back tomorrow to see if you are the lucky winner. Good Luck!!! It's reveal time at Simply Obsessed. 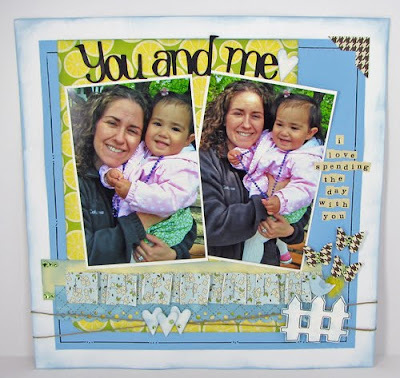 The August Queen Bee kit is gorgeous!!! 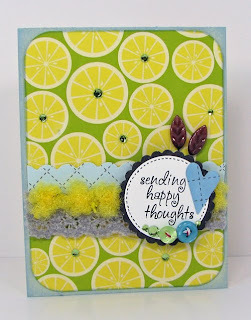 I can't believe how beautiful the yellows, teals and grays look together. Heather did a great job matching everything together. And don't forget about all the embellishments. Wow!! 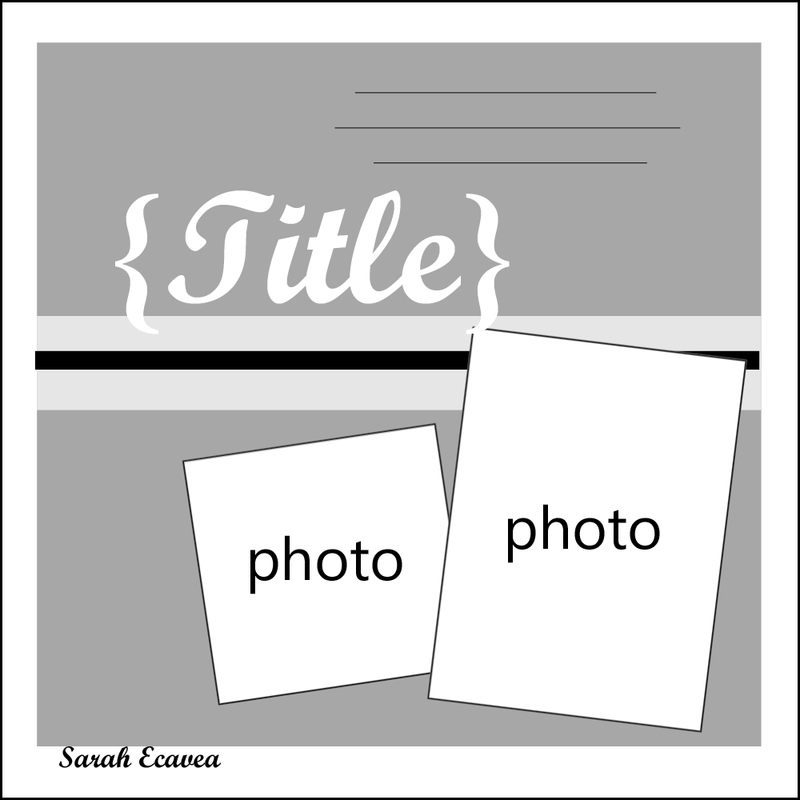 I created two layouts and a card and still have tons left over. I still haven't even used the clear border strips, prima flowers, making memories frame or Fancy Pants journaling tags. So yeah, I am going to be making some more layouts with this kit! For my first layout I chose this picture my husband snapped of Frances and myself at the riverwalk on a Saturday afternoon. I didn't even know he took the picture and when I was looking through the photos later that day this one made me a little teary eyed. She is growing so fast and it is sad knowing I won't be able to hold her like this forever. I punched holes in the cork to make a button and put some twine through, then used the diecuts from the add-ons for my journaling. Then I cut up the Prima Pearls so I would have enough for my next layout. For my second layout I choose this photo of Frances running through the grass. I snapped this while she was running away from me and then edited it in photoshop. I layered lots of the patterned paper and made more buttons out of the cork circles. 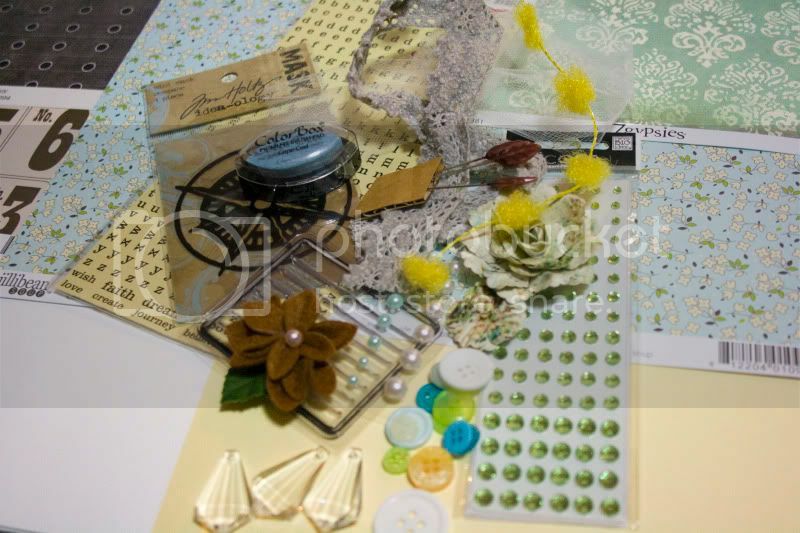 Then I added the rest of the prima pearls, some of the diecuts from the addons and some stitching. 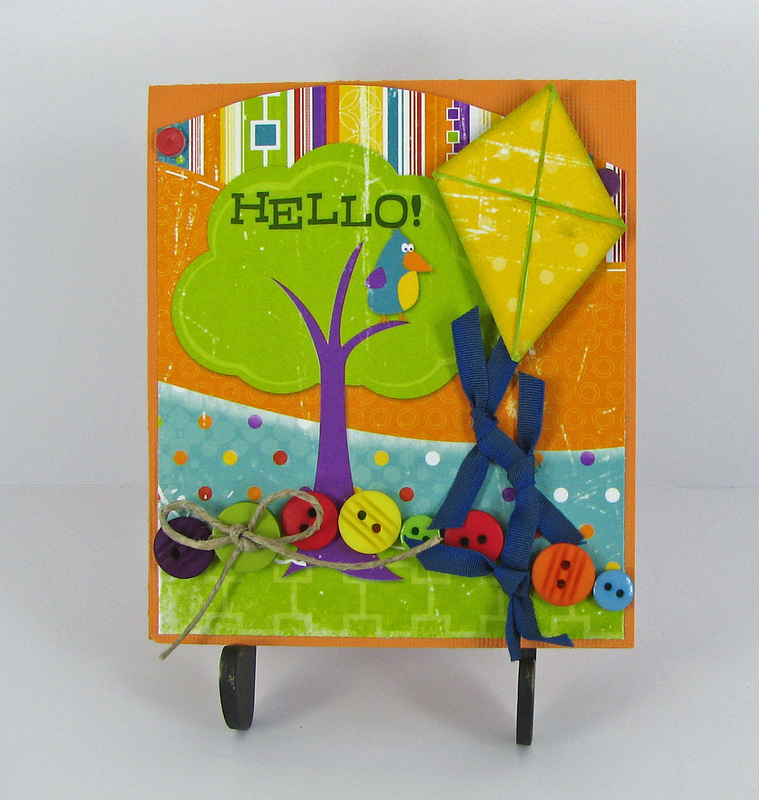 And for my last project I created this card from one of the diecuts. Kits ship the first week of August and there's only a few left in the Simply Obsessed store!! A new challenge and a crop!! Let's start with the crop first! The Just Beachy crop is underway at Simply Obsessed. There are games and pre-crop challenges this week and the official crop starts this weekend!! Simply Obsessed crops are always the best too! Now for the challenge. 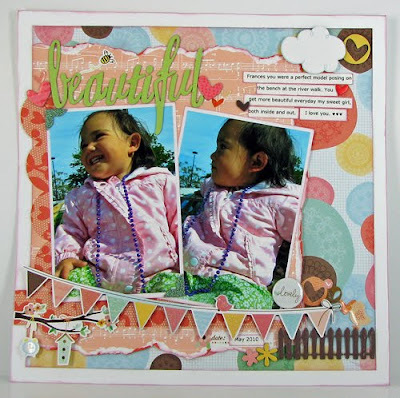 It is my turn to post a challenge at scrapbook challegnes so I chose to do a card challenge. 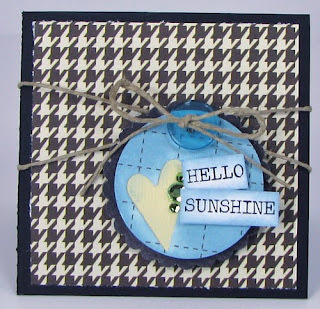 My challenge for the month is to create a mini-card or set of mini-cards if you are so inspired! I love how cute mini-cards are. They are perfect for attaching to the tops of gifts and bags or just placing in a tiny little envelope. 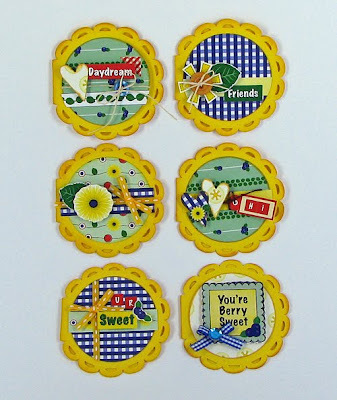 I created this set of six cards using the brand new line debuting at CHA summer from Nikki Sivils, Scrapbooker- Blueberry Hill. I love the yellows and blues of this line. It is so summery and fun. I thought the scalloped card shape from the Wild Card cricut cartridge would by whimsical and fun too and go great with these papers. I was not dissapointed with the result. To be entered to win the June kit from Scrap Attack Scrapbooking create your mini-card (4 inches or smaller- mine are 3 inch diameter) and upload it to the Scrapbook Challenges gallery. Good Luck!! 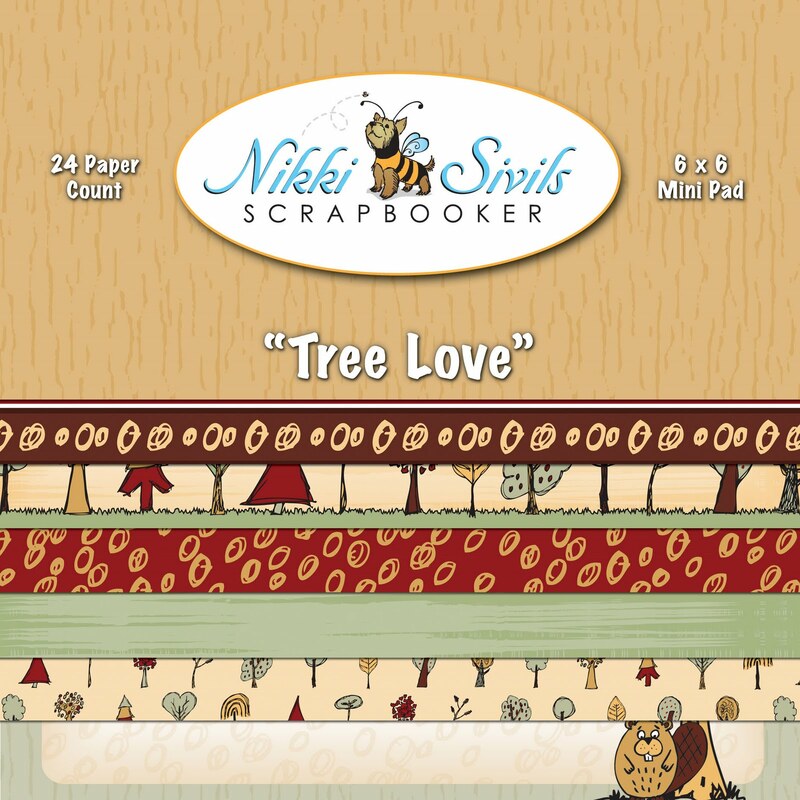 Nikki Sivils Sneak and a give away!!! Nikki Sivils just released a sneak of her line "My Friend Birdie" debuting at CHA summer in just a few weeks. I LOOOOOOVVVE this line!!! 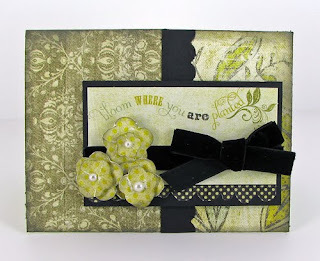 And there is a give away on her blog today too!!! So head on over check out the sneak and leave a comment to be entered for the give away. Here is a layout I made with the new collection. It is a random collection of things Frances says that make me laugh. I didn't want to forget them so I journaled them next to this adorable pic of her. 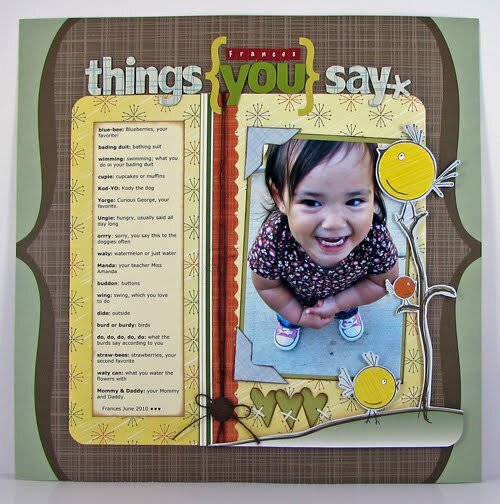 She talks so much now I am going to have to make a version two soon!! Just the other day I asked her say love you and she said "bove boo". Come on, isn't that just the cutest????? Yorge: Curious George, your favorite. Mommy & Daddy: your Mommy and Daddy. 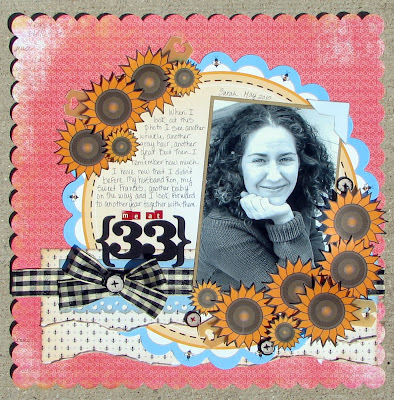 I have been a little behind with posting (and creating with) the Monday sketch from Scrapbook Challenges- SORRY!!! And here is my take on the sketch. 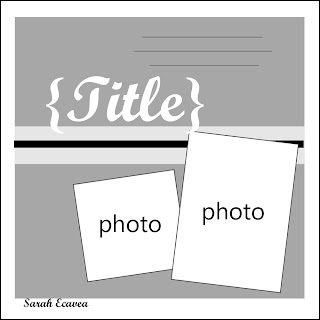 I didn't have four pictures I wanted to use on the layout so I omitted the two horizontal pictures from the sketch. Instead I used just two big vertical pictures in place of the two small ones on the sketch. Then I used the banner in place of the stitching from the sketch. And I love those new fabric thickers. The color and font was just perfect for this layout. You can see what the DT with the sketch HERE. And there are lots of great examples this week! You can see more projects from the kit HERE. 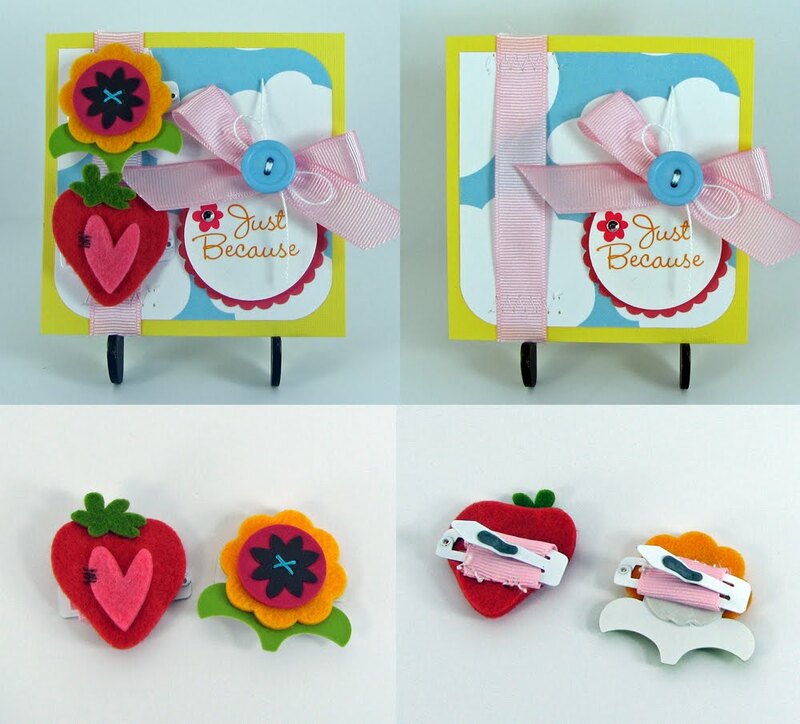 And there's a only a few card kits left so if you want to purchase one you can do so HERE. Just tell Erin Sarah E sent you! 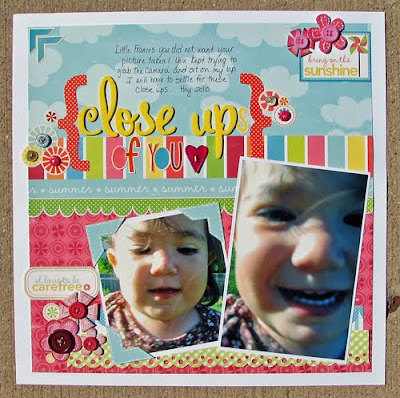 This week Sketch Inspiration is being sponsored by Simply Obsessed and you can win one of the sold out July kits! 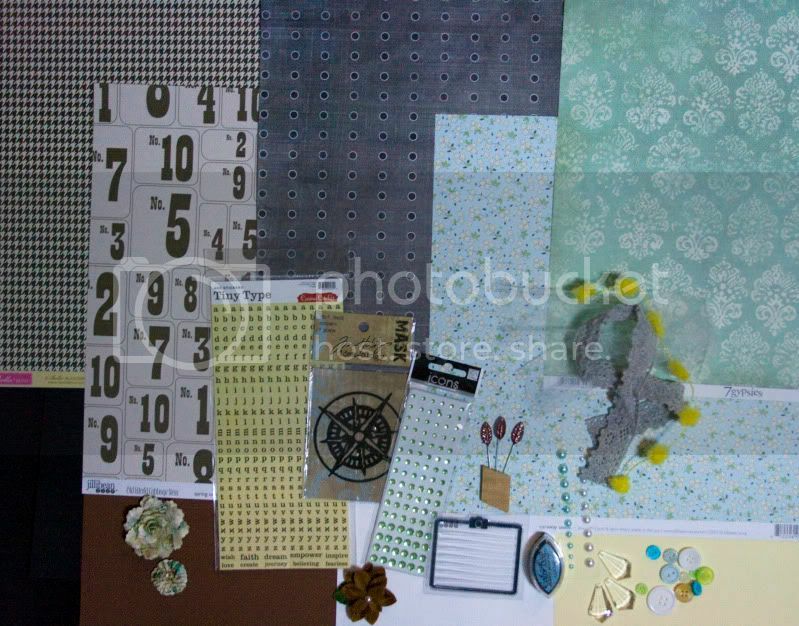 To win this kit all you need to do is create a layout based on this sketch and upload it to the Sketch Inspiration gallery. One random person will win the kit. You can see what the other Simply Obsessed DT girls did with the sketch HERE. 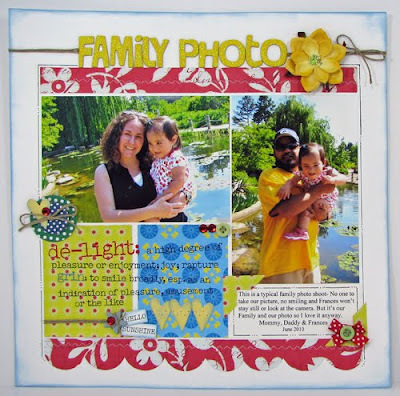 The July issue has just been released and I have a layout featured! I was asked to create a layout on how I feel about my current age. So I got to thinking and I feel old! Well not too old, but old enough. I guess a 1.5 half year old running around will do that to ya! Here is my layout and you can read the article HERE. Here's the little girlie NOT cooperating for some photos. Her smile is too cute not to scrapbook though! !